the benefit of his near-perfect cultivation and management practices. It’s a privilege and a remarkable experience to visit the farm of George Barnard, near Groblersdal, where he runs his mixed cropping operation. Barnard is a prime example of the type of South African commercial farmer who brings excellence to the job of producing food while making a major contribution to our economy, society and rural areas. The first impression that strikes one when visiting this meticulously kept farm is the excellence of the operation. The farm is a model of success, where every aspect is carefully executed and managed. It is a testament to this farmer’s pride, enthusiasm and passion. That said, Barnard, who farms potatoes, maize, seed maize, small white canning beans and sweet corn, is modest about his accomplishments. 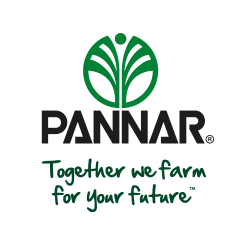 For the maize under irrigation, Barnard chose PAN 3R-724BR, basing his decision on the excellent performance of Pannar’s P3 series in national trials during the previous year, where it reigned supreme. He planted the cultivar on 17 September 2018, and harvested the crop 143 days later at a total moisture percentage of 12,8%. A plant population of 88 000 plants/ha was realised. • Preparing the seedbed well and addressing any factors that may limit the crop’s performance. • Spacing the plants optimally. Barnard uses row spacing of 0,76m and plants at a slow, steady speed, and opens up rows to check that everything is as he wants it. A good start, he emphasises, ensures you are halfway towards winning the race. • Managing weeds, pests and diseases correctly. Weed pressure in the early stages of development can prove fatal to a maize crop, which is why it is vital that the young plants are given an opportunity to develop without any competition. Post-emergence pest and disease management includes treating the plants for leaf diseases with a fungicide programme, while pest management focuses mainly on controlling red spider mites. • Maintaining optimal plant health to ensure healthy leaves, roots and vascular tissue. Barnard points out that one of the biggest constraints to achieving a good yield is the premature death of some plants. His basic premise of crop production is that healthy plants equal optimal yield. • Using fertiliser to maintain the optimal nutritional balance in the soil. • Scheduling irrigation to ensure the right moisture levels. • At planting: 15:10:6 (31) at a rate of 400kg/ha (60kg nitrogen [N]; 40kg phosphorus [P]; 24kg potassium [K]). • Two weeks post-emergence: 150kg URAN (32)/ha (48kg N). • Three weeks post-emergence: Spray 3kg Omniboost (a water-soluble supplemental foliar feed with various elements) and 200mℓ Kelpak. Barnard stresses that maize should be healthy and lush when entering the five-leaf stage as this is the first important growth phase in its lifetime and also the period during which the plant’s theoretical yield is determined. • 1kg MAP Tegnies (39), 1kg MgSO₄, 200g copper chelate, 150g zinc chelate, 200mℓ Kelpak, and 30g sodium molibdate. • These soil chemistry corrections vary from one land to another and are adapted according to the results of a leaf analysis. • Seven weeks post-emergence (just prior to pollination): 400kg 5:0:2 (21) liquid (60kg N; 24kg K) and 2ℓ Aminofix. • 500g MAP, 500g MgSO₄, 1kg KNO₃, 1kg low biuret urea, 200g copper chelate, and 250g zinc chelate. In summary, the total fertilisation application amounted to 310kg N, 40kg P and 88kg K.
• Pre-emergence: Bullet insecticide, Guardian herbicide for broadleaf weeds, and Silcozine, a contact and systemic herbicide. All chemical control products are applied strictly according to the guidelines on the product packaging. • At planting: 10kg Counter insecticide. • During various growth stages: Glyphosate herbicide is applied to control new growth emerging from past potato plantings. Abacus fungicide is sprayed at a rate of 1,6ℓ/ha at the seven-leaf stage and 28 days after this, Duett Ultra fungicide is applied to control leaf diseases.To control red spider mites, Abamectin is administered at 750ml/ha. It is advisable to apply the spray for one to three days prior to the Abacus spray. (Note that there are many products available with the same active ingredient. Whichever one is chosen, care should be taken to follow the recommendation on the label.) Abamectin can be administered with Abacus, but the prescribed recommendations should be adhered to. In addition, the crop oil used as a wetting agent should be omitted, and it is recommended that Complement Super be used at a rate of 50ml / ha. It has been found that if crop oil is administered with Abamectin and Abacus, the mixture becomes too ‘hot’ and burns the plants. It is advisable to apply the products separately. Water application is administered according to a scheduling programme. Barnard has the nozzles checked regularly to ensure they are in perfect working order and that water is being applied evenly. Barnard is well pleased with PAN 3R-724BR, and intends using this hybrid for his total maize planting in the next season. He was particularly impressed by the steady yield recorded by the harvester, an indication of the hybrid’s consistency. One of its qualities, Barnard notes, is that it produces a fixed-ear size. Because of this, he will increase planting density to 95 000 plants/ ha in the following season. 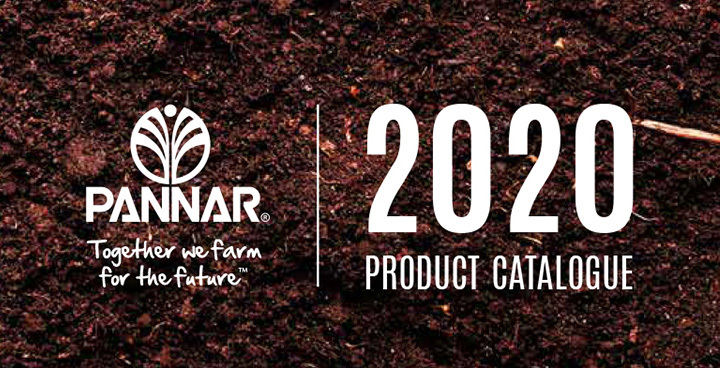 For more information, phone Pieter Rademeyer, Pannar agronomy manager, on 082 776 5583.